Well, my second Bassmaster Classic is in the books. The 2019 Classic started off on a high note and ended on an even higher note. Looking back, the 2018 Classic was a true learning experience for me. I was in total awe of everything, and like an angler in a tackle store, I wanted it all. This year was so much better in so many ways, but as hard as I tried, I still didn’t get enough time to do everything. 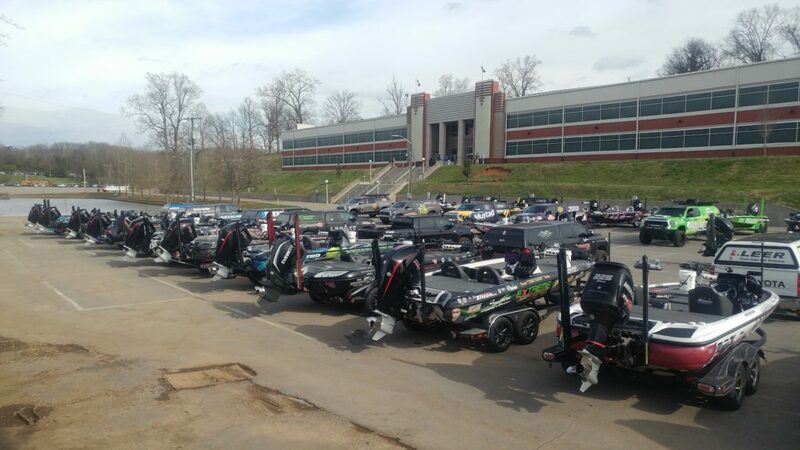 We arrived just in time for the Media Day luncheon with all 52 anglers. There had been an issue with transportation, so the anglers were actually running late getting there. We started lunch, so as to keep on schedule, and while in line they arrived. 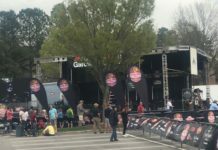 Tommy Sanders welcomed us all to the 2019 Bassmaster Classic and after a couple short speeches and a short presentation by Power Pole, we all moved outside and down to the boats to talk with the anglers. I got a couple early shots of the boats, but now the fun and work began. The first person I actually got to interview was Mr. Edwin Evers himself. Seems the last time we talked, I was a bundle of nerves. Go figure that out, mister talk your ears off was nervous. Needless to say, he remembered it too. But this time, no such happening. We had a great interview and a quick photo, and off we went, he to his boat and I to do more interviews. One person I was looking forward to talking to was Seth Fiedler. I had never met Seth, but we both love WOO Tungeston. We had a great talk and he actually showed me the bait he planned on winning the classic on. No, it wasn’t a new bait that he had tied on, instead it was well chewed on, Texas-rigged soft plastic creature bait and a WOO weight.I had planned on getting a picture of it for an after Classic picture, but others were coming over so I didn’t risk letting the cat out of the bag. I wish I could have had the time to get to talk to all of them, but some stayed so busy. I got to talk to just about everyone I wanted during the day. I talked to Brent Chapman, Chris Zaldain, Jason Christie, Brandon Palanick, Alton Jones Jr. and so many more. I tried to keep it simple, as we were only given 10 minutes to do our interviews. So short a time, and way too many questions. Then off for dinner at one of the fine establishments, the Stock and Barrel. Then back to the hotel and write a quick story, so as the let everyone know what happened in the interviews. Day one went by so fast, and the bed felt so good. Day 2, the first day of fishing started off early with the opening ceremonies of the Expo. 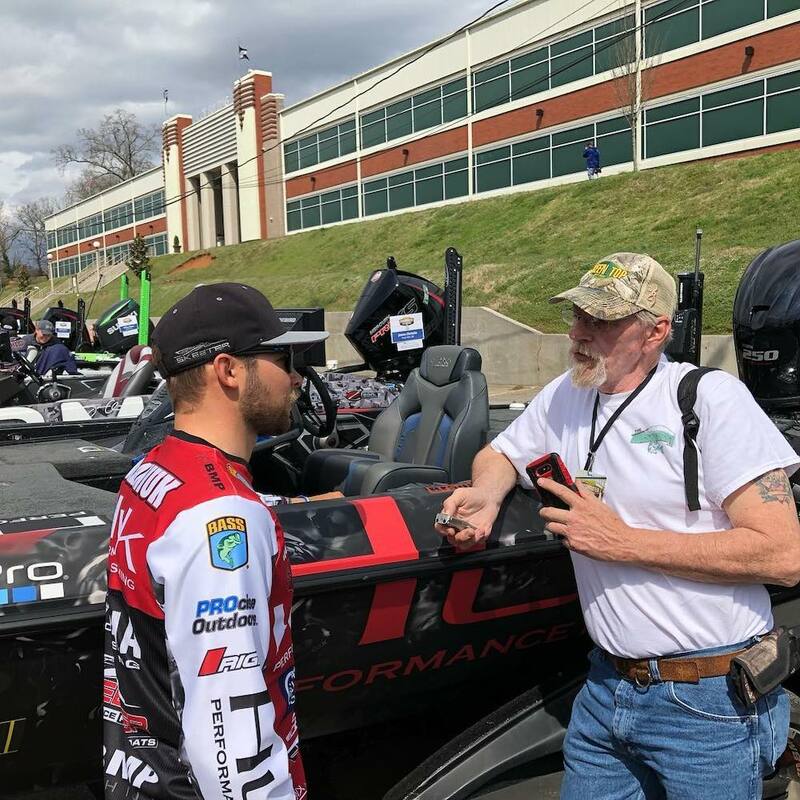 We got to do a lot of talking to the different vendors, finding out what is new, catch up with our favorite fishing companies, and talk to different anglers working the show. It was also an opportunity to make new friends and see old ones. 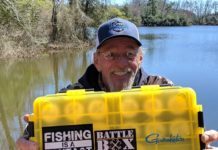 I by chance got to meet up with one such person, Mark Hall of Papa’s Baits. He wasn’t there in a booth, he was there to see old friends and meet new ones. But old friends for Mark was the anglers such as Mark Zona, KVD, and so many more. 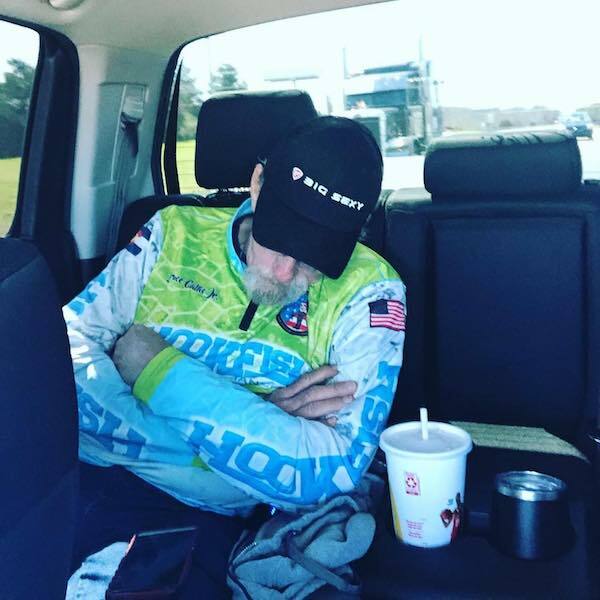 Mark use to fish a lot of tournaments, and knew so many of the big boys back when they were nobody by our standards. They were just getting started making a name for themselves. And there will always be great anglers just getting started. 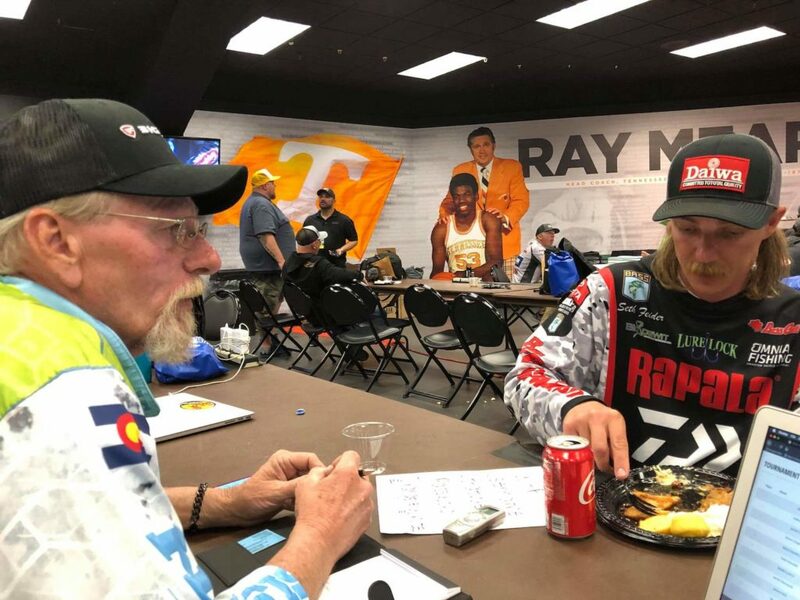 Then the real work began, rushing over to the weigh in, setting up to talk to the anglers and find out how their day went, what the water conditions were like, how long a run were they making, baits, and whatever else they wanted to reveal. A madhouse of chaos that we put anglers through. So many different people wanting to do interviews, and the anglers needing to get back to get rigged up for the next day. It can be crazy as they also would like to grab something to eat after a long day of fishing while they do interviews. But they do what they can to oblige us. And then BASS does a live broadcast for the top 5 anglers, one last chance to ask questions before they leave. Saturday, my day 3 and day 2 of the fishing, was no different, more Expo and back to the weigh in. It is cut day and so many are sitting on the bubble. Can the leader hold his lead or will someone catch a huge bag? Who will miss out fishing Championship Sunday? One thing that really stood out to me was how the anglers faced the day. For some, it marked an end, as they would no longer be fishing throughout the year to stand on that elite stage once again. The emotions flowed out in some. The end that they made a choice about. Ott DeFoe came into the media room after having a poor day with his son. Jacob Wheeler riding high as he took the lead. 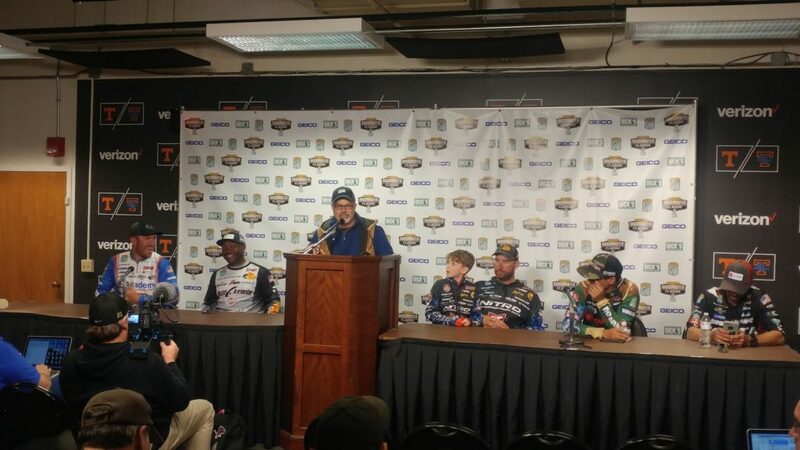 Chris Zaldain joking in the press conference, answering the question of spectators and boat traffic with a question of his own, “Why do you think I wear all this camo?” Ike losing it with laughter and finding it hard to answer himself. Championship Sunday was bitter sweet. High hopes of watching the trophy lifted high, mixed with the emotion of knowing that I would not be there in person. Life isn’t always fair. Home wasn’t just around the corner and having to be back for Monday made the stay short. A quick 2 hours at the Expo to wrap up a few last details. A few friends to meet for the first time in person, a few pictures, and some final good byes. And then the journey home. Bitter sweet. We did get to watch the weigh in, via the live feed on a cell phone. We watched from the driveway of Jacob’s house as Ott was crowned Champion. And then unloaded to go home. I still had a long drive, but it was well worth it. While many have said that this was the last big Classic because so many of the top pros have moved on to something else, I didn’t see it. And Mark Hall reminded me of what I already knew. Every angler had to start somewhere. 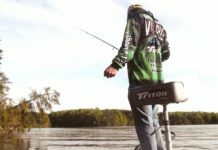 Kevin VanDam started off as a young angler, facing the uphill climb to become the best. Anglers come and go. Some quit for whatever reason. Some never want to quit. What did they say when the big boys quit back in their day? The sport will never be the same? When the legend Bill Dance left the tour? When Hank Parker? I see the 2020 Classic as being one of the best that will ever be. And who will be fishing it? The next KVD? The next Bill Dance? I personally can’t wait to see it.